Astana is a large transport hub and is a place of cargo concentration and distribution. Astana as the capital of the Republic of Kazakhstan is the largest transport hub through which the main railways and motor trunk roads are pass. In this regard, it is important to find a reliable, responsible partner, integrating all the functions of the organization of storage and transportation services. 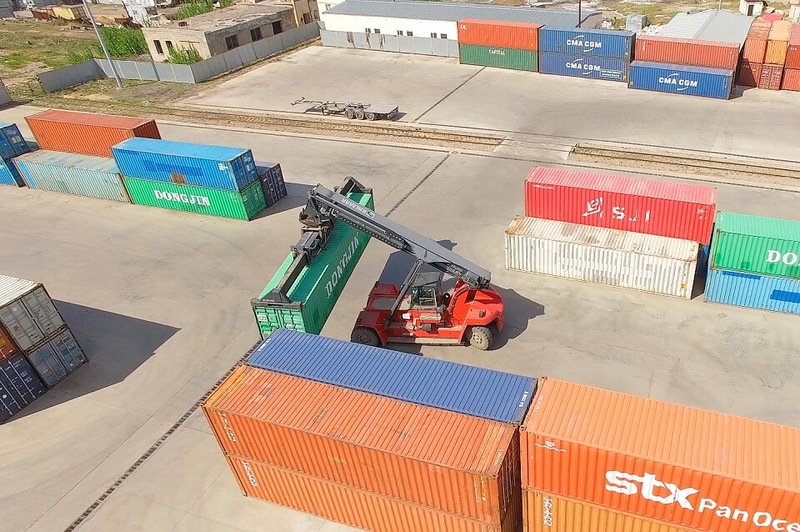 The container terminal of “Astana Cargo Service” LLP is included into the terminal and logistic structure (warehouses of “A” and “B” class). 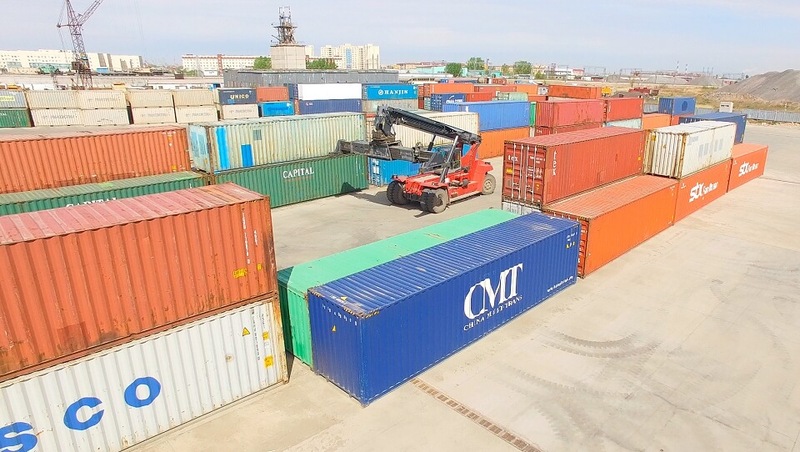 Economically advantageous location and centralized service of the container terminal allows us to approach the customers’ problems in an integrated manner. The area of the terminal is 9 hectares, the capacity of the access road is 56 four-axle wagons. Container transport is one of the most reliable ways of cargo transportion. 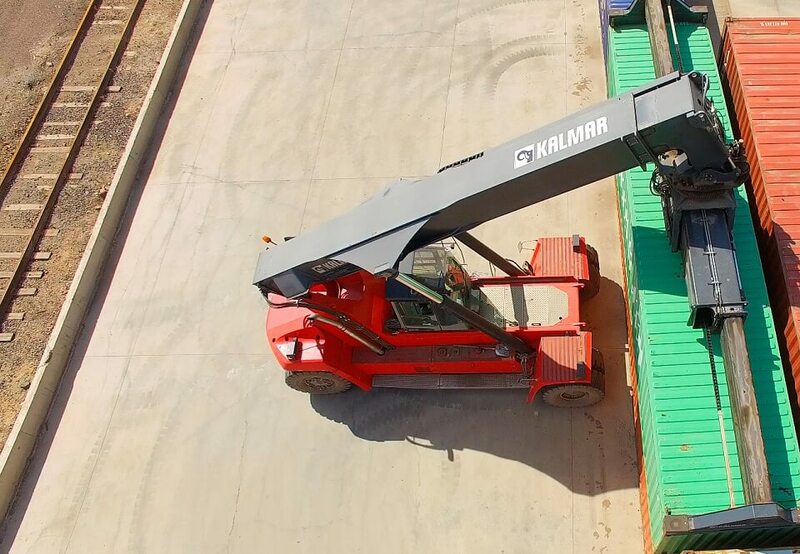 For servicing your cargo, the “Kalmar” reachstacker equipment is used. 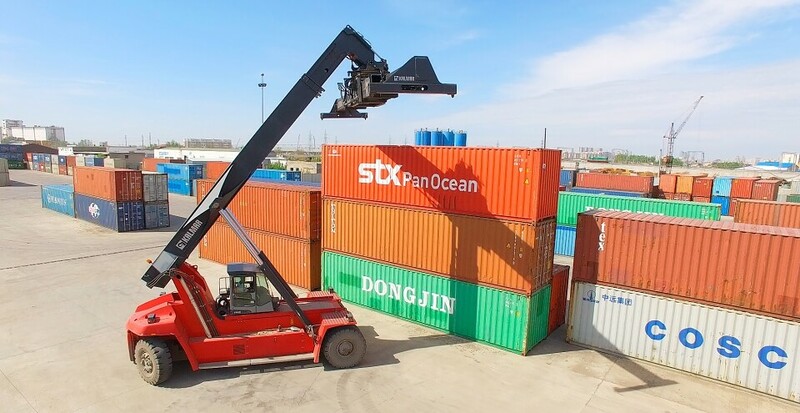 Containers handling with a reachstacker is one of the most flexible ways of loading and unloading. The reachstacker allows you to handle quickly and efficiently the loaded containers even in a cramped space, regardless of the weather conditions. We are located at eight hundred meters from Sorokovaya station, near the Left Bank, the territory is completely fenced with video surveillance. The container terminal has its own office, which gives an opportunity to receive all necessary documentation promptly. Among our partners, not only Kazakh companies, but we are the choice of many foreign firms. Individual approach to partners, quality service and long-term cooperation are the main priorities in our work. If your business needs reliable storage, then start working with us right now!